Well after waiting 30 odd years to see them it was all over before I realized it. There I sat looking and listening. Thinking about what I was doing when these songs first came out and thinking well I am almost as old the boys on stage and I still feel seventeen. I am not going to go on about Rick did this and Steve did that. It was all great and I am now saving up to go to the UK concerts in June. I have thrown together a quick little web site with my photos of the Melbourne concert. Please feel welcome to have a look www.meg.co.nz/yes.htm and enjoy. Thanks Jon, Steve, Rick and Chris you made me feel all the good times agin! As already documented, this was a far-from-perfect Yesshow. 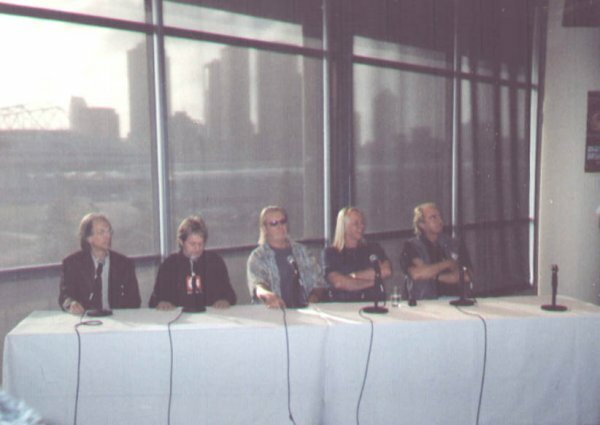 However, it was truly an honour being present to welcome Yes back to Australia for the first time in over three decades. The concert did lose momentum with the technical difficulties, but it certainly made it a more unique gig! 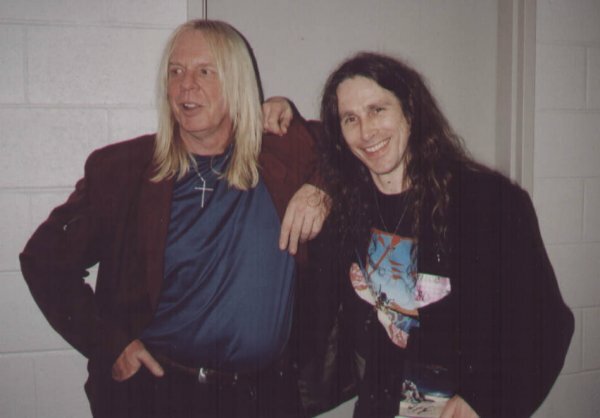 Where else has Steve Howe performed "Clap" on electric? And has there been a controversial drama with the support act before? On reflection, apart from the aborted "To Be Over", a few feedback squeaks and the disjointed "AYAI" - this was still a sterling performance from the quintessential quintet. A flawed gig - but you still floored us, guys! Travelling to Aussie with my good Yes-buddy Geoff, we arrived in Melbourne for this show with an anticipation that had been stretched to exploding point by the rescheduled dates and the extra six month wait that that had necessitated. No wonder our expectations were so high. 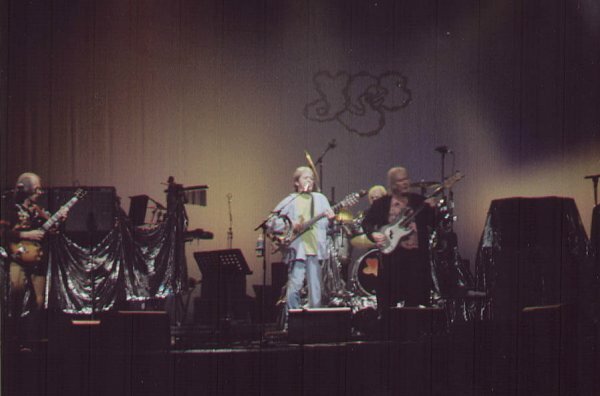 This was after all, going to be the first time Yes had performed on Australian soil in 30 years. Our day started with a ride out to check out the venue where we bumped into quite a few travelling Kiwis and Aussie Yesfanz who were obviously there to do the same thing. After swapping stories we agreed to meet a little later on at a designated Yespub for dinner where a few ales and some good food helped to ease the anxiety. Suddenly the time arrived for us to catch cabs to the venue where the buzz was already electric. It was clear that the venue wasn't totally sold out but still, 3500 is a good sized crowd and they could certainly generate a sizeable atmosphere, which they did. I must admit that Sebastian Harveys set went by in a blur and I missed the de-plugging incident totally due to a lobby run to try and acquire merchandise (which had all sold out btw). In fact, I just made it back to my seat in time to catch the firebird and join in the applause as Yes made their entrance. Close call. As the set proceeded and technical difficulties became somewhat common I had that sinking feeling that one gets when ones expectations have been let down. However, Yes' determination to get through this only made me appreciate them more as the evening progressed. Whatever, or whoever, was to blame is irrelevant. Yes *played* a good show. 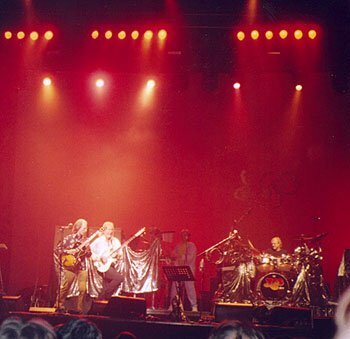 ItPo, SSotS and Awaken were highlights and were relatively free of technical disruptions and when Jon invited folks to party I took the opportunity, leapt from my 10th row centre seat and ended up about one metre away from Steve Howe as the band rocked out to ISaGP and Roundabout. Well, I've never had that opportunity before! It's definitely a surreal experience to be that close to someone you've admired and respected as a guitarist/musician so much for 28 years.... as they are playing! Whoa. 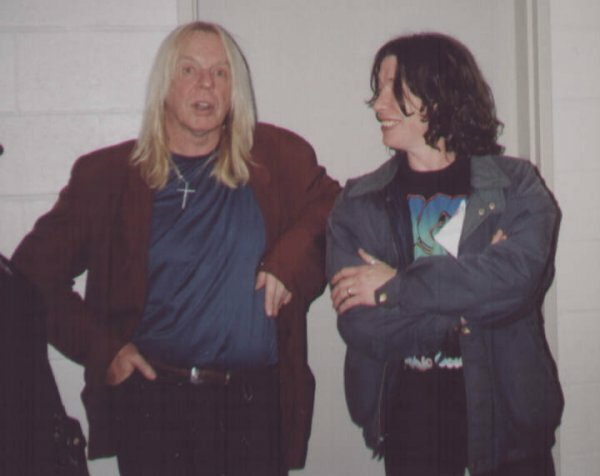 This and other memories such as getting backstage and meeting the whole band; managing to get a Steve Howe guitar pick from Shooz; and of course meeting so many wonderful people from so many different nations will be the endearing memories I will always have of this Melbourne show. On the night I felt dissapointment that they hadn't achieved the perfection I had anticipated. The next day (prior to the Sydney show) I resolved that with a fatalistic shrug and a determination to concentrate only on the highlights of the experience. Needless to say, the lads turned in absolute blinder the next night and completely blew everyone away. 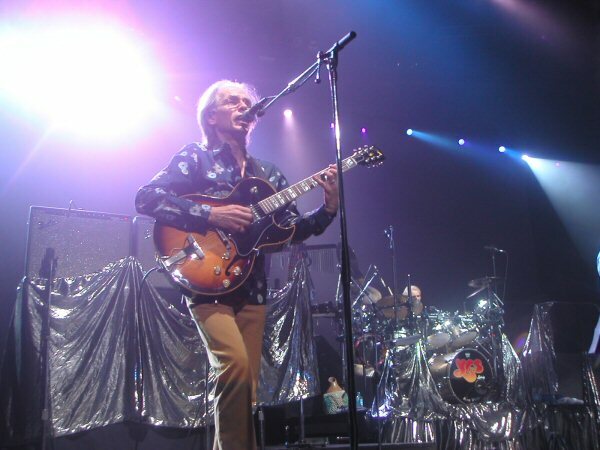 Like many fans, no doubt, I fulfilled a 20-year dream of seeing Yes at this show. I was 3rd row, dead centre, which may be why the sound didn't really blow me away. I probably got too much stage sound and not enough house. It just didn't kick arse the way I would've liked. There were a couple of points where Rick supplied some extra volume but on the whole it could've just been generally louder e.g. Alan - clearly giving it some herbs but just not in your face enough. Steve also - 2 little Fender amps is probably not doing him or the band justice. I found his sound quite underwhelming most of the night. But despite average sound and the technical problems, it was hard not to enjoy this show. The big numbers were great - And You And I had some fantastic moments, SSOTS totally rocked, Heart of the Sunrise was flawless and Awaken was suitably awesome with Steve (as noted in an earlier post) totally nailing the solo at the end (thank God). Chris and Alan did not put a foot wrong all night. How great was it to watch these two - I spent most of the night doing it. Rick appeared to be having a great time, singing along to himself during several songs and jumping about between keyboards. I was hoping that the recent time off may have resulted in some changes to the set, but no. Personally, I'd rather CttE or Starship Trooper or any of the rest of GFTO than the solo spots, but you can't have everything. You'd think the band would prefer a bit of variety than doing the same set in the same order night after night. How hard would it be to work up Onward or Wondrous Stories or something? My review on YesNet won't come up so I'm posting one here. Howe was having the worst time of all the band members. I liked his comment after Clap, that an electric was better than nothing. Wow! The roadie's stuff up gave us an unexpected TREAT - great version. 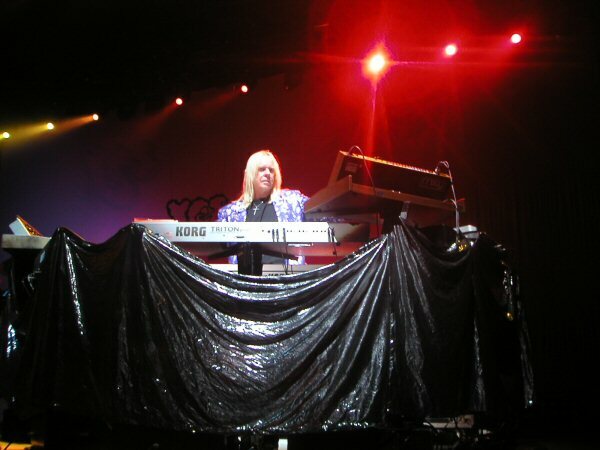 I thought Wakeman was outstanding and that no-one really let the side down. My only musical gripe is that Chris seems to really give the bass a hammering at some points, over-emphasising the original sounds. Anyone else agree? 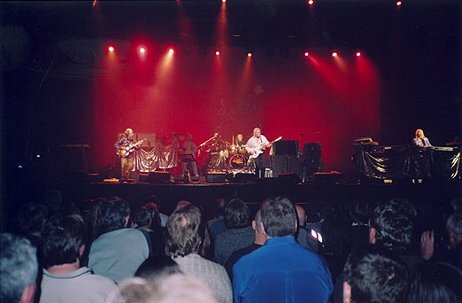 That said, Whitefish was worth all those years of waiting - my favourite prog rock piece from my favourite musician (OK, the bass solo in Ritual is just as good, and I have Yessymphonic to keep me happy). The show wasn't perfect, I know, but I am also a little tired of polished, note-perfect performances that almost don't need the musicians. I liked the humility. To the local critics, I think the fact that this show will probably be our only chance to see Yes makes me all the MORE grateful. Good show or not, it was far better than not seeing Yes at all! Keep it in perspective. 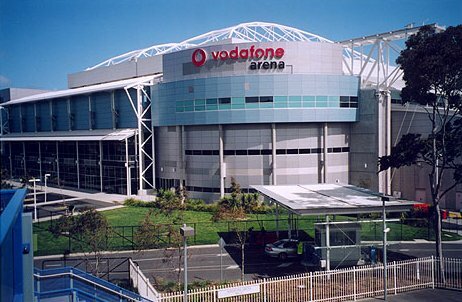 As a post-script to the Melbourne show, it looks like the reason that the plug was pulled on Sebastian Hardie was that there are strict curfew times at the venue, and a band that plays over the limit is thus liable for massive overtime expenses for venue crew, security, etc etc . Yes apparantly finished with 2 minutes to spare! Thus, an extra couple of minutes of Sebastian Hardie would have cost someone a lot of money, although I'm certainly not excusing the way that their set was rudely cut short. I believe that Sebastian Hardie are no longer going to do support sets. 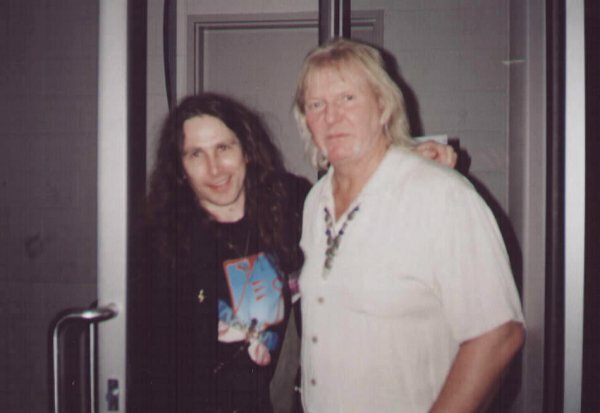 On a more positive note, did anyone pick up Chris Squire playing a section of "Tempus Fugit" from "Drama" during his bass/drum duet with Alan White? This hasn't been notated in the song list. My summation of the show last night is pretty much the same as the other reviewers.Sound problems notwithstanding,it was certainly better overall than I anticipated.Did anyone spot the riff from "Australia" during Steve's solo? 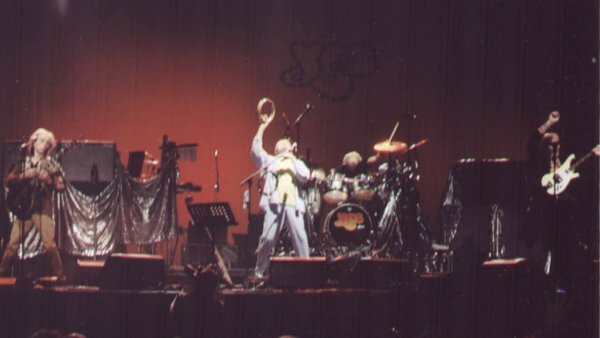 If as some contributors have suggested the group was "firing" at any stage of this concert either their standards are very low or the band's are. The only "firing" that should have been done, on the spot, was of the repugnant tatty-blue-tshirt-wearing porker who blobbed around the stage during the Yes show having previously pulled the plug on Sebastian Hardie - and under whose authority? I wanted to kill the prick. 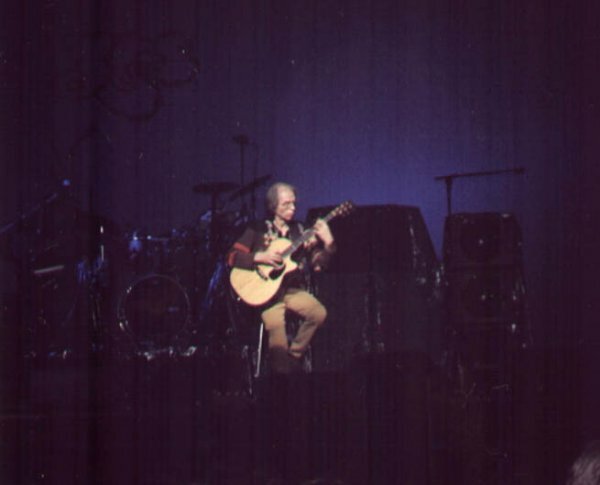 Not content with forcibly removing the support act from the stage, this halfwit then proceeded to make his employer, Steve Howe, look a complete goose before several thousand onlookers. 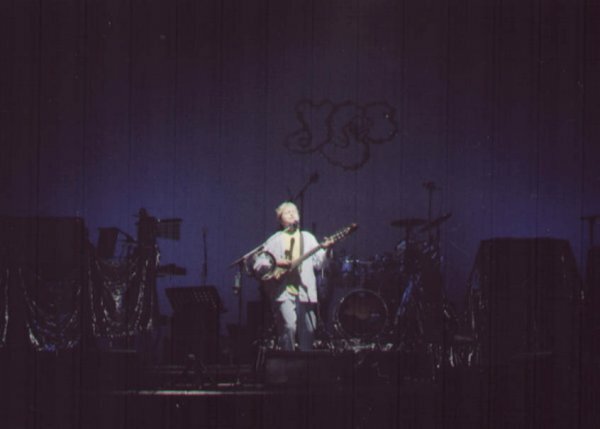 A persistent scratchy acoustic guitar pickup followed by an out of tune replacement (electric) guitar were responsible for two false starts of "And You And I". Whose fault? Hmmmm???? 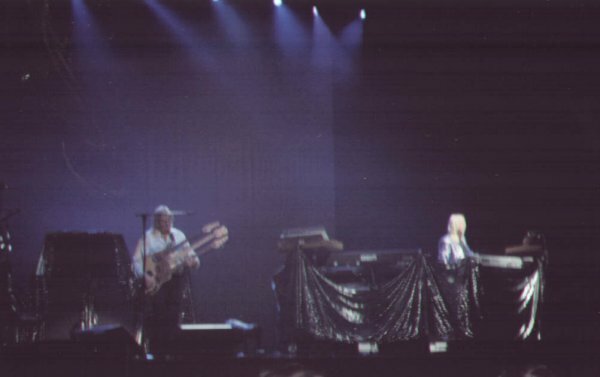 Every member of the band, with the exception of Alan White, had words with the crew within minutes of the show starting. Do these guys attend soundchecks or are they past such menial activities now? In Khatru, Steve's playing (which overall is rudimentary in comparison to that of his former GTR cohort and opposite number in Genesis, Steve Hackett) was fatally marred by what one can only assume, given his gazes around him as he played, to be a lack of foldback. 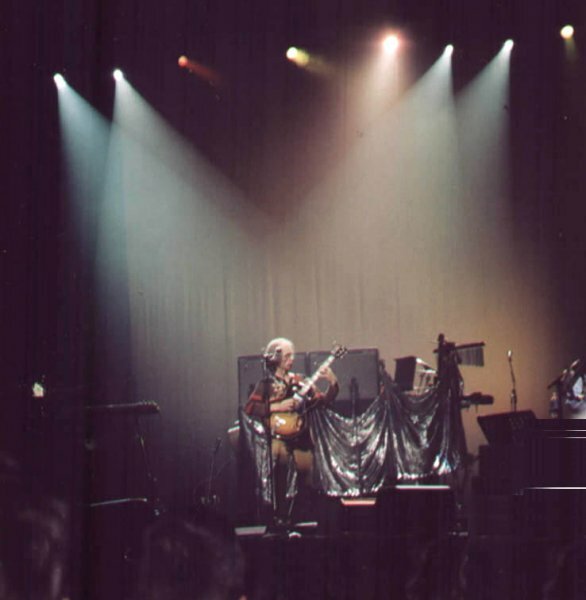 The soundcrew thus succeeded in reducing his performance in this song to that of a second-year guitar student. You would be unlikely to hear a more laboured reading, an awful start to the show. 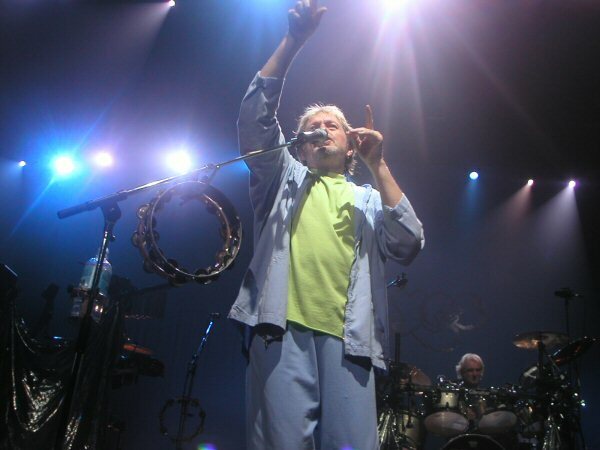 Is Jon Anderson always this "out there"? I was embarrassed for the man every time he spoke. I'm not sure what he expected from the audience following his mention of Daffy Duck and Muhammed Ali but I was waiting for the punchline, as was everybody else I suspect. Microphone feedback was frequent. I estimate somewhere between 15 and 20 incidents of extraneous feedback noise spread out over the length of the entire show. In other words, in two hours of show the sound chimps never got it right. Poor mixing left the band's instruments sounding indistinct and muddy. I wouldn't put up with any of this from an amateur pub band. This all might be fine for "travelling" Yes fans with plenty of money for whom there's always tomorrow night, but for Melburnians who had forked out between 90 and 160-odd dollars for the privilege it was a shamozzle and a disgrace. There were some bright spots. The "Fragile" outtake, or the "Tour Song" as it seems to be called here, was a lovely song well executed. 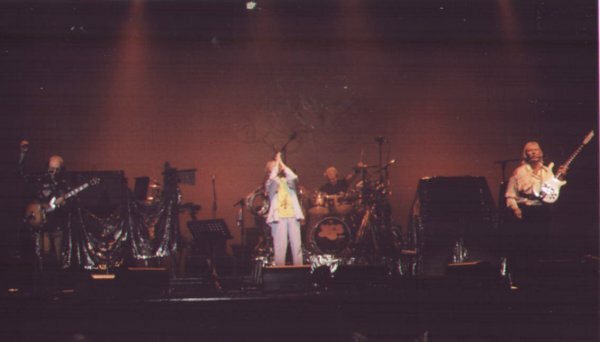 Wakeman was on form as might be expected but the time spent on his overblown solo would have been better spent resurrecting an opus from the vast Yes cannon rather than his own meanderings. A squandering of precious stage time which, given Sebastian Hardie's hasty eviction, clearly was of the essence! If anyone stole the show it was Alan White, who somehow managed to feign confidence in the whole thing when everything else was collapsing. And if anything saved the show it was the presence of the party faithful, the punters who seemingly would have been happy if the band played "Chopsticks" for two hours. The same type that have been writing starry-eyed reviews of this chaotic show. I truly had to ask myself whether these guys really have anything left to offer. Their stage rapport was minimal to say the least. I have serious doubts about their true inner burning desire to play together as a band. I'm happy to write them off as a diverting chapter of music history and I wish I had done it long ago instead of wasting my time in their flawed presence last night. 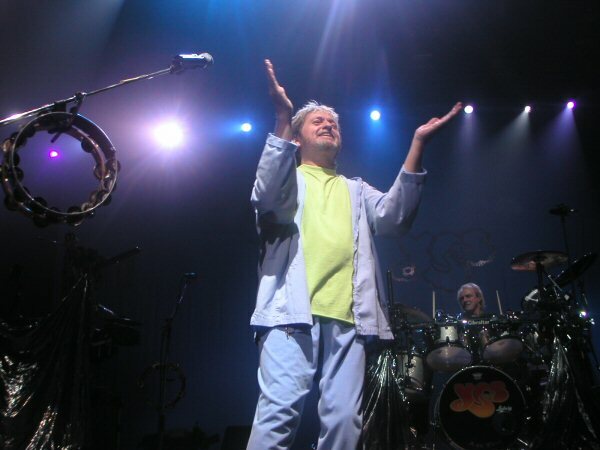 Technical problems notwithstanding it was a real pleasure to see Yes in Melbourne, finally. Steve was on fire for Khatru, nearly venturing off his Persian carpet. He absolutely nailed his solos during Awaken (a real highpoint), and the electric version of Clap was fine. This man is a genius. 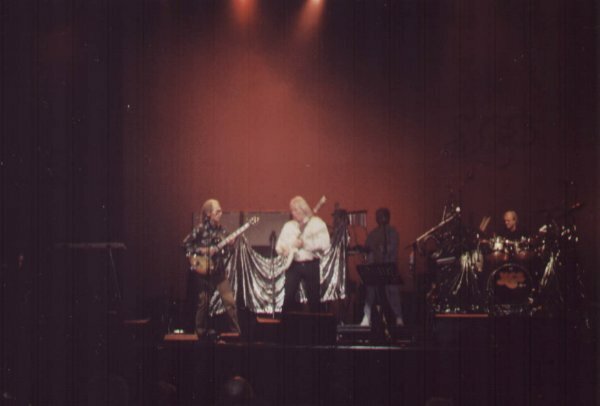 Other highlights were the Howe/Wakeman duel during South Side of the Sky, and the encores. 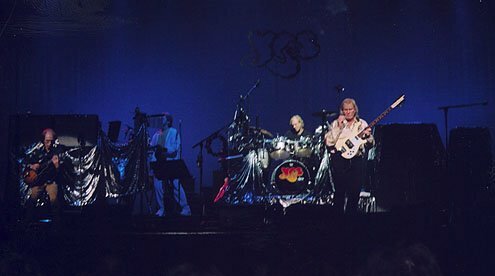 Seeing the band interact with the band and each other was a real buzz: Chris Squire was the one who sorted out the And You and I start in the end - after Jon and Steve seemed to be getting fractious; Jon walking on for his solo spot with the Looney Tunes music playing, and then starting to talk about the influences on his life - Daffy Duck, Muhammed Ali (see his website for more details). He stopped after two I think because of the total lack of response from the audience! Maybe they were still reeling from the impact of his lavender tracksuit. 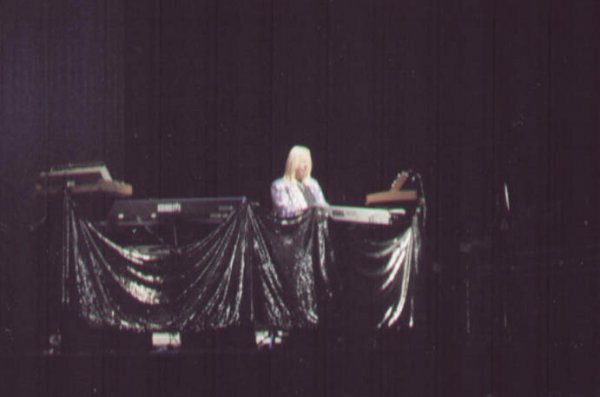 Wakeman's keyboard playing - sublime. Steve "communicating" with his roadie especially when Jon was trying to start Your Move...I just can't wait to see the band in Sydney. Finally, Yes in Melbourne. I was at Festival Hall in the early 70,s where the sound quality let down the outstanding playing. Last night this happened again in a different way.Electronic equipment faults reducing the show's chances at presenting the band's superior technical prowess.This problem with acoustic guitars afflicted Steve all night and as I am first and foremost a Steve Howe -lead guitar fan it was more rotten luck after a 6 month delay in him getting here! However, I felt it revealed the band's personal qualities in an endearing way as they battled on in good humour and completed an outstanding performance showcasing their professionalism,humility,and their unique songwriting and arrangement contribution to modern rock music. To do this night after night with minimal time to set up equipment must increase the odds of these problems.I also thought the mix was a bit base heavy from where I was sitting, Steve was a bit muted (and a bit slower than the old days? )as was Alan. I hope Sydney have a more successful show in this regard, but it was fantastic to see these guys still doing it like no others, especially Jon. Go see them. They're still the real deal. Thanks for coming guys! Well, tonight certainly had an edge to it. Things started out quite well with a superb set from Sebastian Hardie, who played some rather tight Camel-type prog. 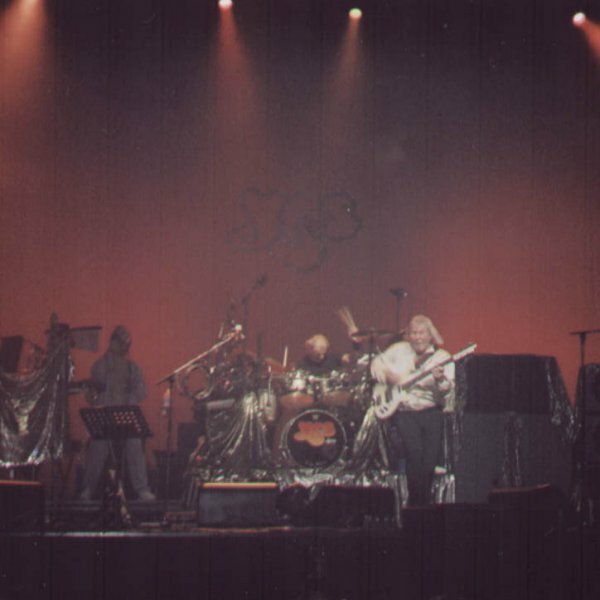 However, I suspect that they were only contracted to perform for 30 minutes, as at around the 38 minute mark, Steve Howe's head roadie walked on, motioned to them to stop NOW, and finding himself ignored, cut the power to the band's guitarist Mario Millo, who was mid-solo. 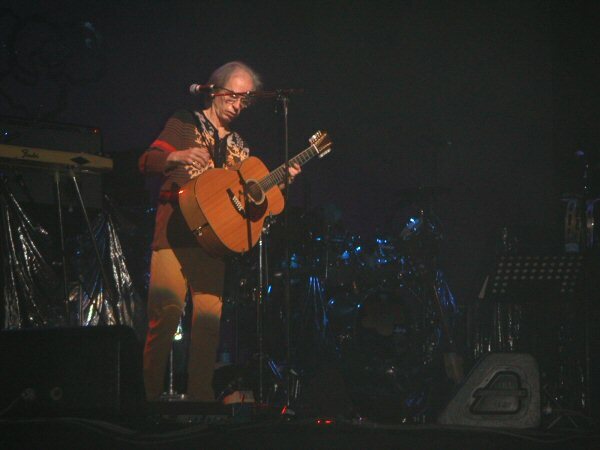 Millo apologised to the audience, and mentioned that the song only had a minute to go, and then the roadie was loudly booed by the audience as he was setting up the Yes equipment. 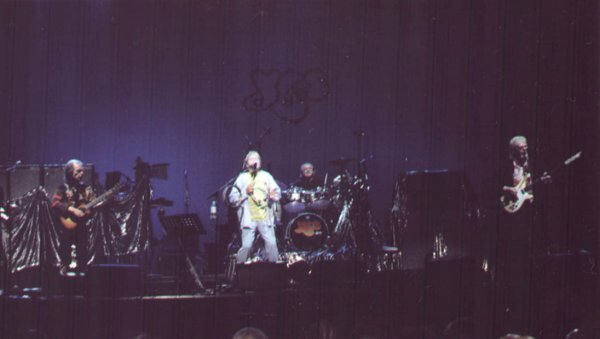 It's rather odd having a bit of aggro on stage at a Yes gig, and unfortunately the problems didn't stop there. Karma, perhaps? Yes started the set in superb form. Khatru was great, and the Magnification songs ROCKED tonight. There was fire in Howe's playing, and the band seemed to be having a great time, with the enthusiastic audience loving every minute of it. Sure, there were quite a few mic whistles and feedback in places, but the band were cooking, and minor equipment problems weren't going to stop them. 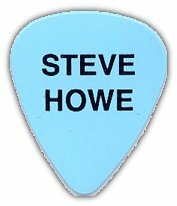 Unfortunately, that's where the major problems started, and Steve Howe was the unlucky victim. This will catered, compared, at the venue, with Roger Dean, Sebastian Hardie, and hopefully Yes attending. Tickets on sale throught the website (above) till thursday 10am. It will be a good day. 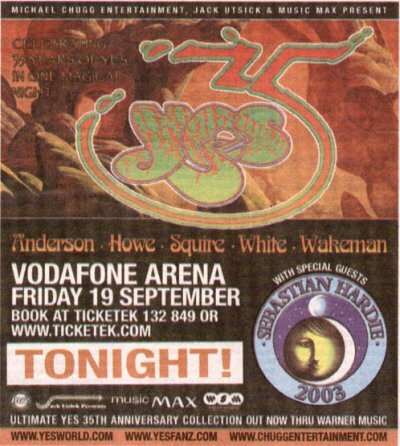 It's Thursday 11th SEPT and in only eight days time one of my dreams will finally come true,I will finally see"YES" live.CAN'T WAIT,CAN'T SLEEP,CAN'T STOP SURFING THE NET to read reviews of the performances so far.However,the unthinkable has happened,it has become apparent ' through recently performed setlists posted on the net that there is absolutely no sign of the two greatest YES songs ever, OWNER OF A LONELY HEART and CLOSE TO THE EDGE, as a matter of fact,not one single song from 90125.I cannot begin to tell you how shattered I am to learn of this, especially as I only became a fan of YES because of the 90125 album. I'm sure that I will not be the only one to be disappointed in this and I would like to know how 90125 and Big Generator can be overlooked like this as they are the pinacle albums of a complete decade. As I am sure the songs chosen will go some way to appeasing my disappointment, I would like at least some feedback as to why these albums were overlooked. Thank you so much, thank you, thank you. Thank you so much, ahh, hey! Thank you so much for being here. 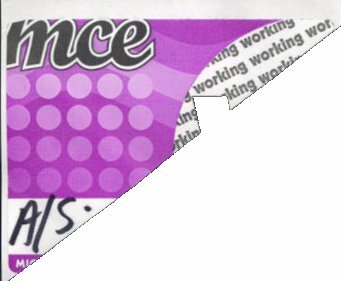 We�re going to do a song, which is actually a new song from a couple of years ago and, ahh, it�s very simple. The idea of the song is to magnify all the goodness within and then everything that surrounds you shall also be magnified, they say - somebody says anyway. The song is called Magnification. Thank you so much, thank you. Don�t kill the whale, don�t kill the trees, don�t kill the butterflies, don�t kill the bees, please. Without them we are nothing, without them we are nothing. Thank you so much, thank you very much. Thanks for listening to that because it�s a new song and, ahh, thank you. Sorry about the whistling (referring to feedback problems). Yes, just modern technology, you see, it has to whistle now and again. Actually, we recorded an album a few years ago called �Fragile� - I�ll drink to that. And ahh, halfway through recording, downstairs studio became available so I ran down one day and ahh, did this, ahh, kinda crazy piece of music and that modern technology helps me to do it now, so I�ll sing it for you. And it goes a little bit like this. If anyone knows this, please sing along. I was running away with the key there. That same evening, we were in Advision studios, and, ahh, we put together this song. The idea, very simple. It�s about mountain climbing. We all climb different kinds of mountains every day� on the south side of the sky. Thank you so much, thank you, thank you very much. That same� that same, ahh, year, was, ahh, a time when we were getting a lot of success and felt really sort of, ahh, inspired, if you like, and, ahh, it was that time when, ahh, record companies just let you play music and create music and it was a very special time for us. And, ahh, someone asked me a couple of months ago, is it better or was it better in those days than it is now? I said no, it�s better now. It always gets better, and the fact is that we�re here to play this song for you tonight is amazing to me, it really is. So, this is for my honey, my drop dead gorgeous wife, my wife, Jane. One second, one second, one second, wuzzzahhh.. it�s OK, it�s OK, it just, ahh, this happens every night, it�s part of the show. It�s part of the show, it�s OK. We gotta, we gotta practice more, I just know it, we wanna get it right. It�s just, Steve�s going to change one of his guitars and Rick will tell you a joke! I don�t believe it. Tell me you�re ready, Steve! You ready? Oh, I�ll have to tell it another time then. What a shame! OK, no acoustic - better than nothing! Thank you very much. Some things that really impressed me over the years, and made my life so wonderful, and the first thing I wrote down was Daffy Duck, then Muhammad Ali� OK, I won�t say any more, honest. But it was going well. Kidding, kidding. Doodoodoo, dootdoot, doodoo, doodoodoo, dootdoot, doodoo. It�s so great to be back here in Australia, a beautiful place to be, back here in Melbourne tonight, we want to thank you, thank you for coming out to see us tonight, and by the way, happy birthday to you, anyone who had a birthday last year, happy birthday to you, doodoodoo, dootdoot, doodoo, doodoodoo, dootdoot, doodoo. That�s enough of that! I�d like to sing you a song actually, it�s a song that, ahh, I found a tape from, ahh, the �Fragile� days and we never recorded this song, so I�m going to sing it for you now. He has been practicing, I can tell! Well done, Rick. On the count of four, we will attempt Heart Of The Sunrise. Switch to the 175 then!